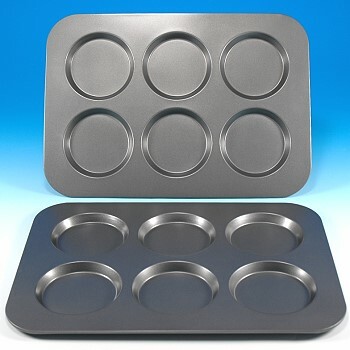 The "original" Muffin Top Pan. This unique pan creates desirable jumbo Muffin Tops or Muffin Crowns. Professional grade baking pan, crafted from high quality materials and finished with a non-stick coating. 6 Muffin Tops per pan. 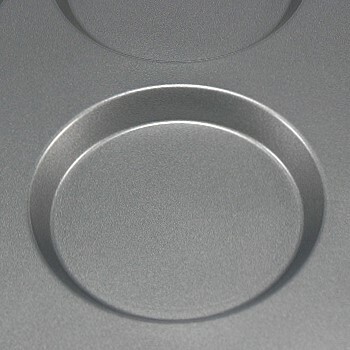 Muffin Top: 4 1/8" diameter, depth 3/8"
Overall Pan dimensions: length 15 3/4", width 11 1/4"